Forward Juan Carlos Garcia, midfielder Matt Thomas and defender Miguel Garduno all played in the team’s 1-0 win against Rio Grande Valley FC on Saturday. The Lights FC defeated Rio Grande Valley FC 1-0 on Saturday, but the shutout took a backseat to another zero. The Lights had nobody on their pregame injury report, meaning for the first time technical director Jose Luis Sanchez Sola had a full roster. He used it to his advantage too, as forward Juan Carlos Garcia, midfielder Matt Thomas and defender Miguel Garduno all contributed to the win after lengthy absences. Garduno played all 90 minutes in his first game since May 23 because of a knee injury, though the Lights played with a five-man backline that limited the amount of ground he had to cover. 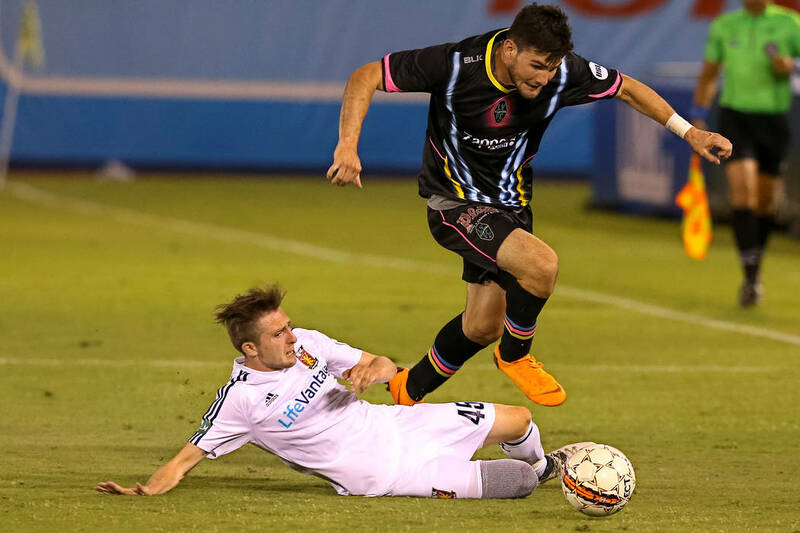 He was out slightly longer than Thomas, who was hurt in the team’s loss at Phoenix Rising FC on June 13. The midfielder expected to be back on the field just two weeks after his lower-body injury, but it took until halftime Saturday for him to play again. Thomas jumped into the game as a halftime substitute for Garcia, who had the longest road back of the three players. The 33-year-old hadn’t appeared since May 5 due to a right knee injury that was close to career-ending. Garcia, who became a quasi-assistant coach while he rehabbed, now can lead his team on and off the field. Like his other two teammates he’s excited to be back in time for the Lights’ push for the playoffs. 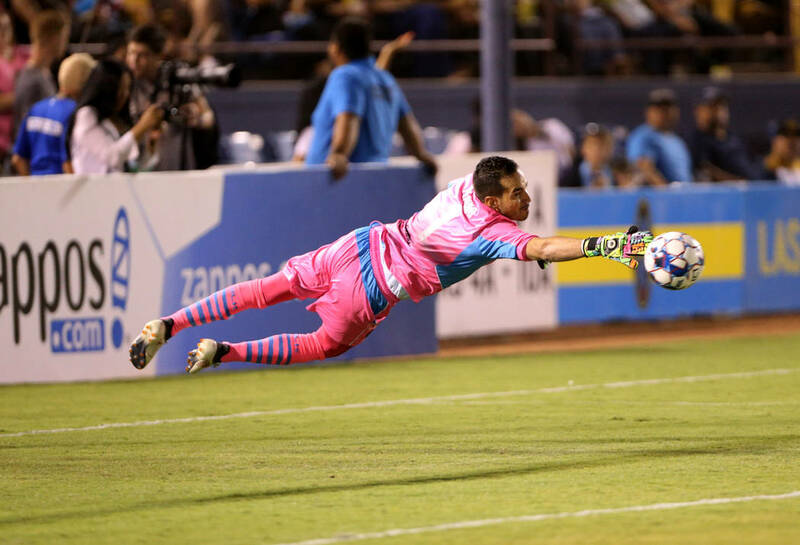 Lights goalkeeper Ricardo was named to the USL’s Team of the Week on Tuesday. Ferrino made seven saves in the team’s victory Saturday for his third shutout of the season. The 26-year-old goalkeeper ranks third in the USL this season in saves with 61.
Who completes this #USL Team of the Week? “It’s important for my teammates to feel like they have security with me in the back,” Ferrino said. The world’s fastest man ended up running away from the Lights. Former Olympic track star Usain Bolt has negotiated an “indefinite training period” with the Central Coast Mariners in Australia’s A-League, according to The Associated Press. Lights owner Brett Lashbrook said the team was in contact with Bolt’s agent and attempted to get him to Las Vegas, but the club’s financial resources always made a deal unlikely.